This past weekend, I checked out Monument City Brewing Company, which specializes in high quality, hand crafted ales. 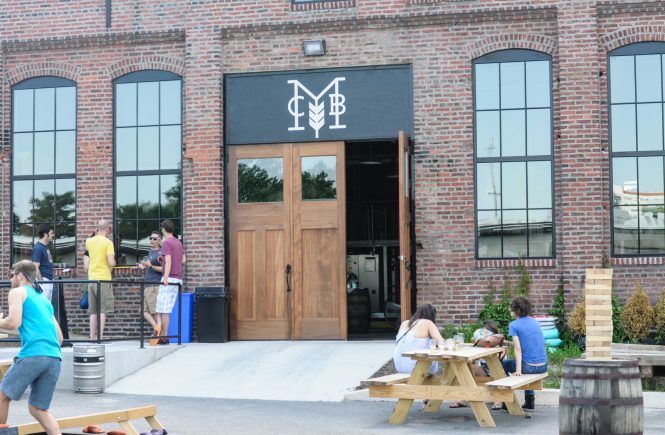 Located in Highlandtown, this brewery still holds the building’s original look of an old factory and a warehouse: tall windows, brick walls, and all things industrial. 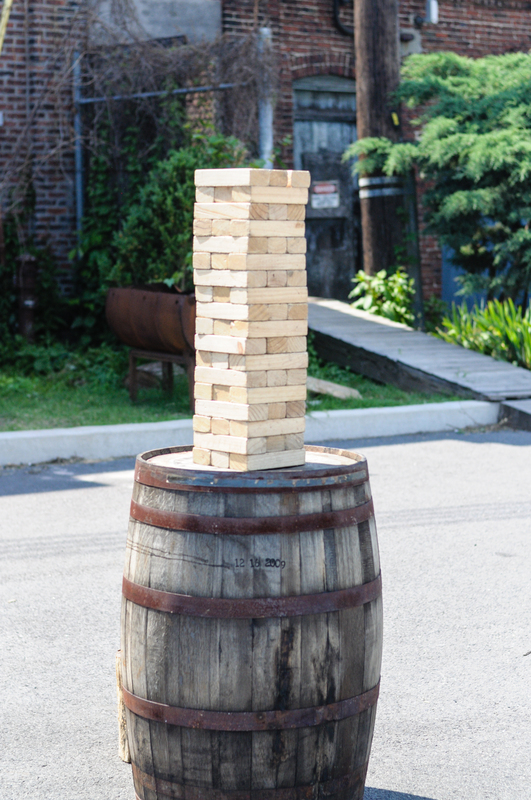 When you first approach the brewery, people playing corn hole, huge blocks of jenga, and picnic tables greet you. 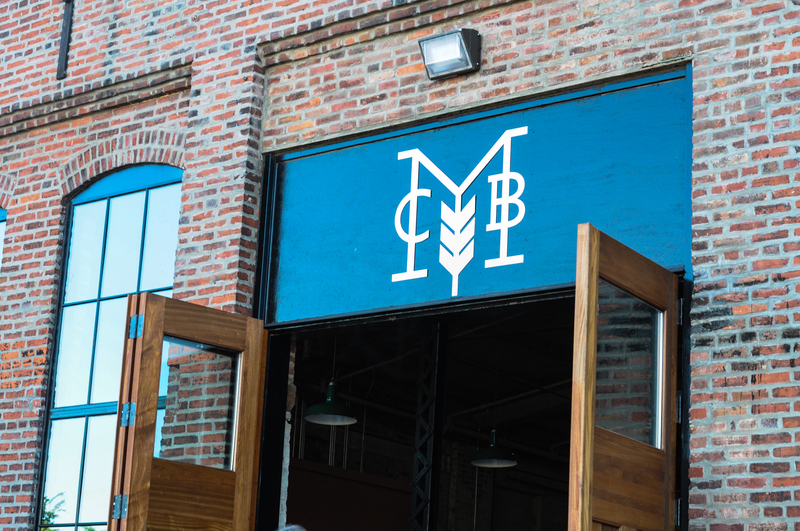 After you get past all of that, two large, caramel wooden doors open up towards the tap room, which is decked out with wooden tables and chairs, a couple of plush couches, and the equipment needed to make the monument beers. If you walk towards the right, you’ll come across the bar that seats about eight people. 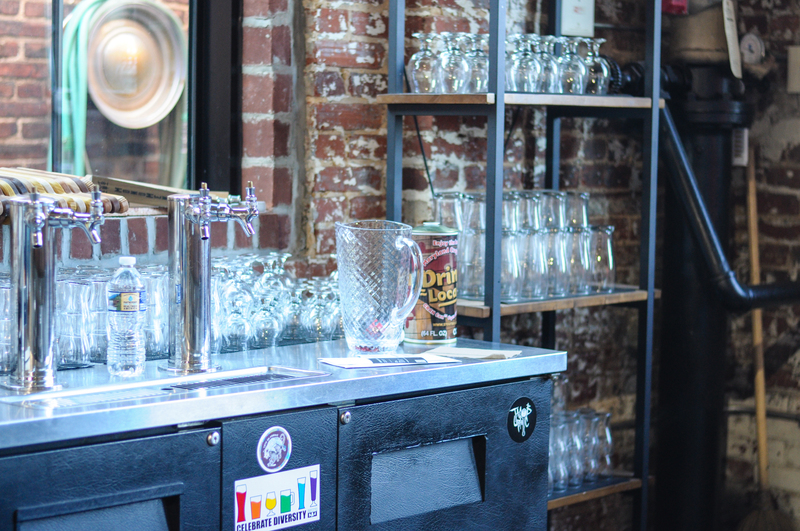 Hanging on the brick wall behind the bar is a chalk board that displays all the different types of beers being served. 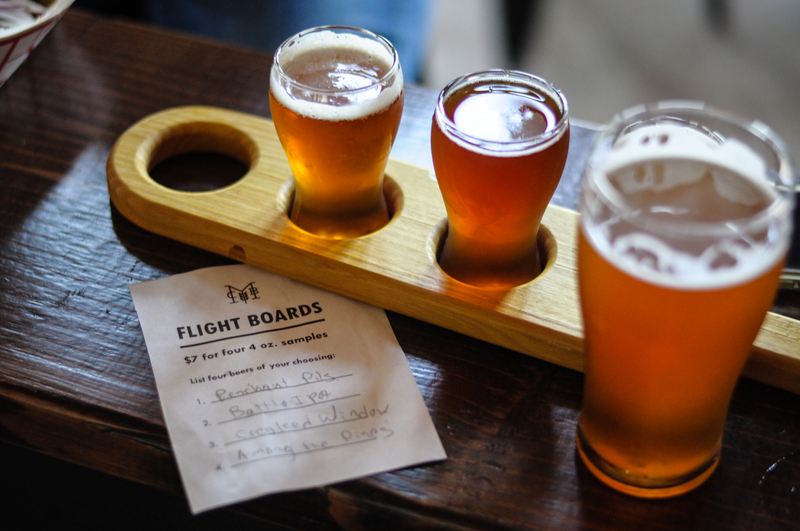 If you have no idea which beer to try, you can get a flight, which is served on a wooden paddle with holes. 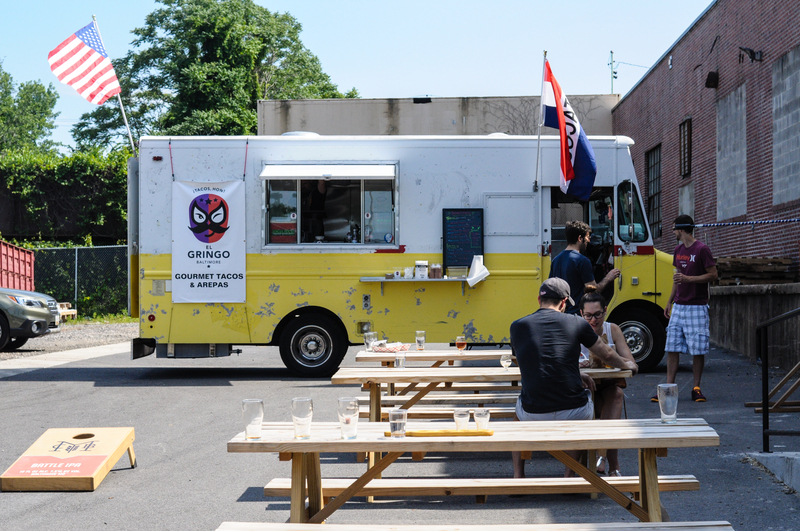 Although the brewery is only open Thursday evenings, Friday evenings, and Saturdays during the afternoon, they still try to make the brewery even more fun by holding events. The night I went, Monument was having a ping pong and vinyl night, which is held every Thursday night. 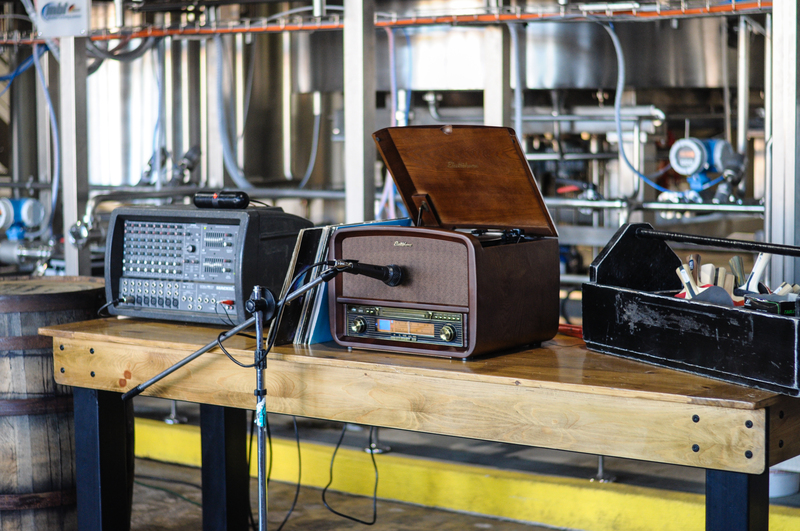 People can bring in their favorite vinyls and have it played throughout the brewery. If I owned any Coheed and Cambria vinyls, I would have brought them and blasted them. Maybe one day! I haven’t been on a Friday night, but Monument usually has a live band that plays music. They also do giveaways. One Friday night they were giving away Jack Johnson concert tickets. Another Friday night, they were giving away Bon Iver tickets. 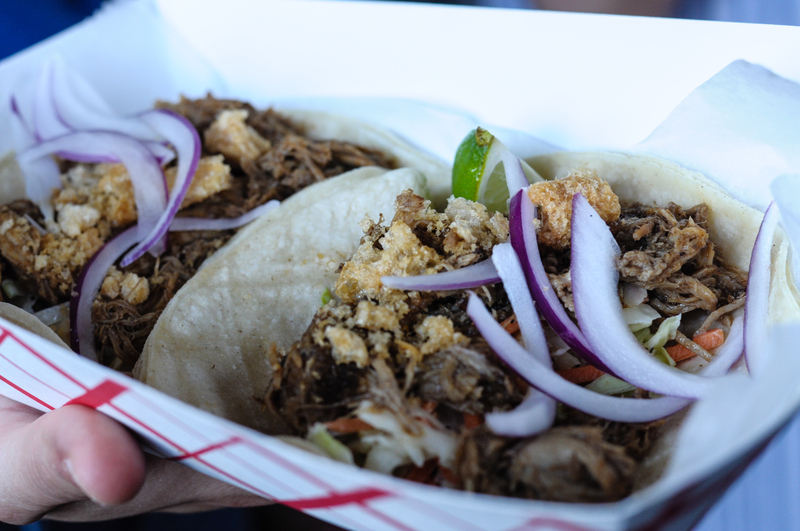 On Saturdays, a food truck comes in and serves food since the brewery only serves beer. I honestly do like the space a lot. I already brought my friends there (I went on a Thursday night and I went back on Saturday afternoon) and they liked it just as much as I did. 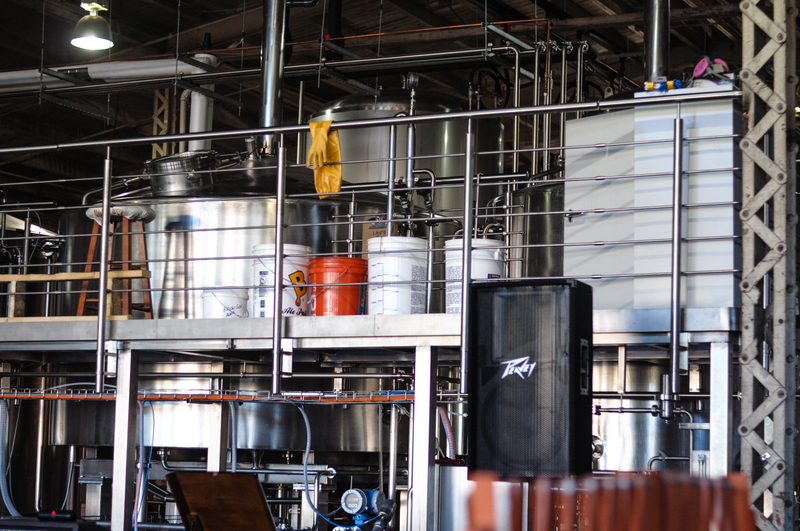 There is plenty of seating inside and outside the brewery and the vibe is chill. 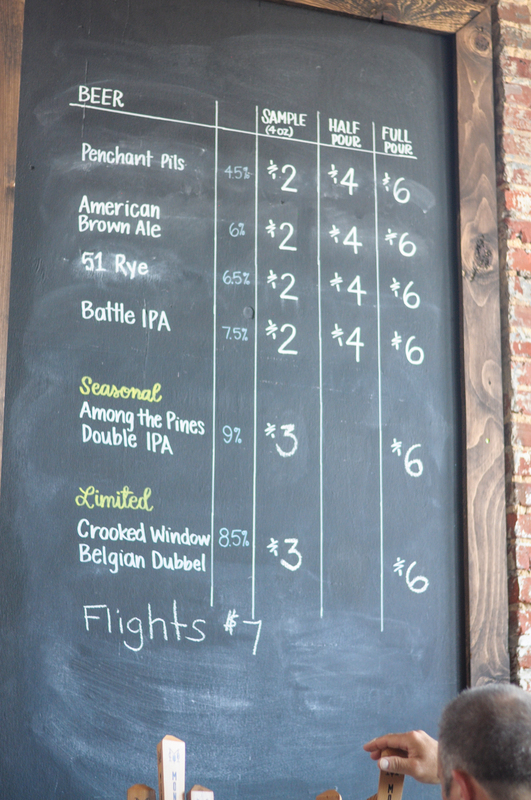 The beers are also great – extremely flavorful and not bland. I even found an IPA that I liked and that’s saying something, considering I don’t like IPAs at all! 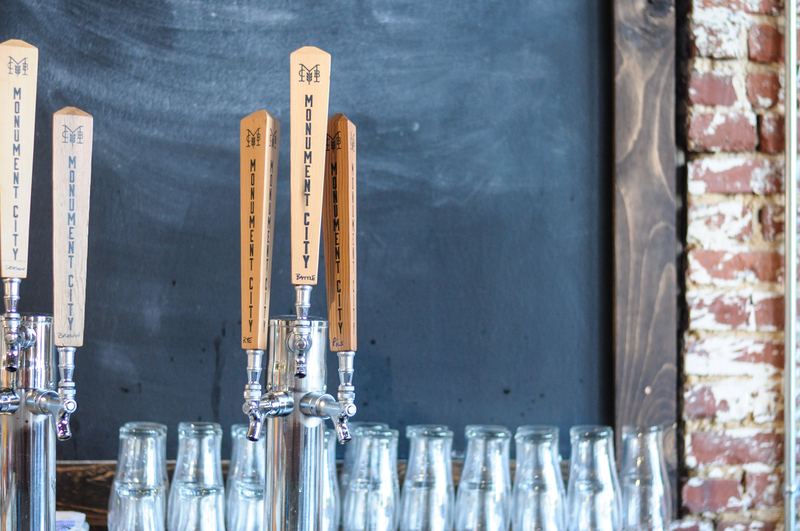 So I think you should check out Monument City Brewing Company. 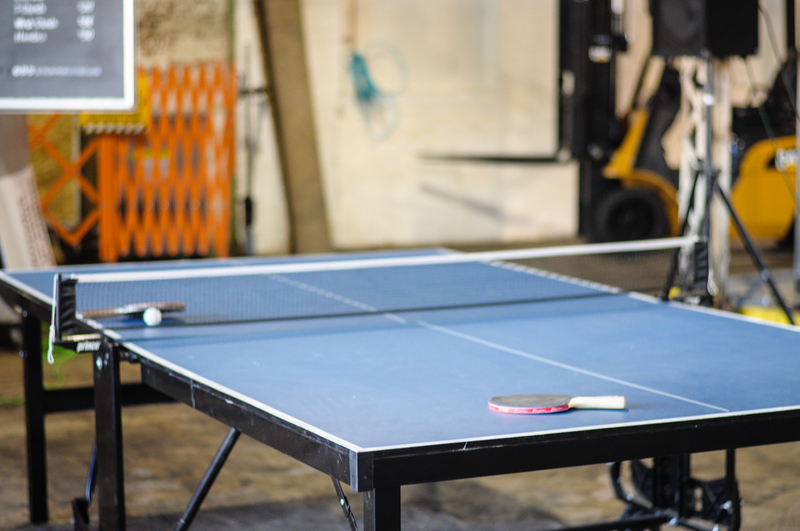 It’s a great place if you want to meet up with friends over a couple of beers, if you want some corn hole or ping pong action, or if you want to have a fun date night with some vinyls playing in the background. I know I will definitely be back there in the future! Mon.-Wed. closed | Thu.-Fri. 5–8 p.m. | Sat. 12–5 p.m. This has been on my list for sure! Can’t wait to check it out. Yes! You’ll totally have a great time! 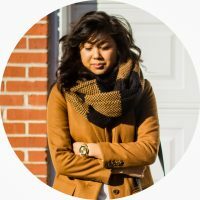 Let me know what you think of it when you go!